I can't get anything other than Game Over, Man! Just a guess, but I suspect every single result is 'game over man'. Not true! I survived, and evac was on the way! Awesome! What did you do? You are not allowed to view links. Register or Login Mostly I stayed still a lot, reported everything in, and tried to sacrifice myself for the good of humanity (ironically, maybe that's why I got rescued?). I saw a "you almost survived" result someone screenshoted. I think it just doesn't like me. The Fourth Annual “Alien Day” Celebrates the Franchise’s 40th Anniversary On April 26th! and Good Smile Company to name a few. 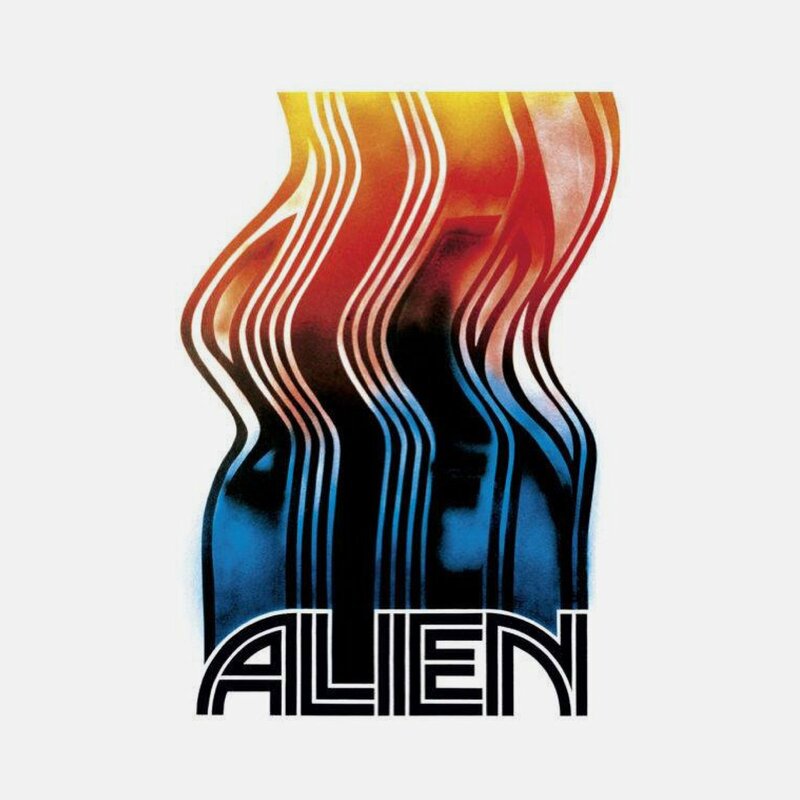 Highlights include a comprehensive and definitive volume on the making of Alien from Titan Books, a new line of Alien Pop! Figures from Funko, limited edition giclée prints from Acme Archives & Dark Ink, and a selection of apparel and merchandise sure to please the most discriminating Alien collector from Shop.FoxMovies.com. A full list of what is shuttling in for Alien Day can be found HERE. Alien Day 2019 is fast approaching and we wanted to give you a sneak peek at all the awesome Alien themed products and deals you can get this year! Just in time for Alien Day Funko recently released an all-new 2019 line of Alien Pop! figures including a Vynl duo of Warrant officer Ripley with a tracker and Xenomorph, a POP! Xenomorph, a POP! Ripley in her spacesuit, a POP! Xenomorph keychain, a Pop! Ripley holding the adorable Jonesy is available as a Funko web exclusive and a metallic Xenomorph Pop! is available as a Funko select specialty series. Acme Archives & Dark Ink present a new 40th Anniversary Alien print "Too Late to Scream" by Steve Thomas. This limited edition giclee print is available in a "Red Alert" regular edition or a "Blue" variant edition. 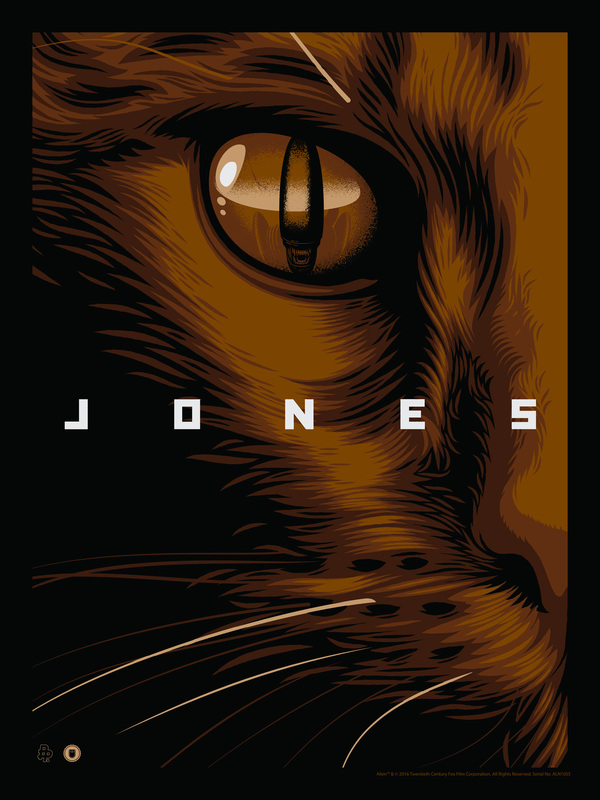 Also available on Dark Ink - celebrate the true feline hero of Alien with "Jones," a limited edition silk screen print by Thomas Walker or admire the vastness of space with "Nostromo," a limited edition lithograph by Andy Fairhurst. On Alien Day, Dark Ink will have a promo for 26% off on all their Alien prints! Available for preorder now Dark Horse Comics presents Aliens: Dead Orbit Oversized HC. This deluxe edition collects issues #1 - #4 of the hit Aliens story written and illustrated by James Stokoe. Featuring new cover art, never before seen process material, and high-res scans of original art this oversized hardcover will hit shelves on April 24, 2019 and will retail for $34.99. Shop.FoxMovies.com offers a wide selection of exclusive Alien merchandise and apparel. 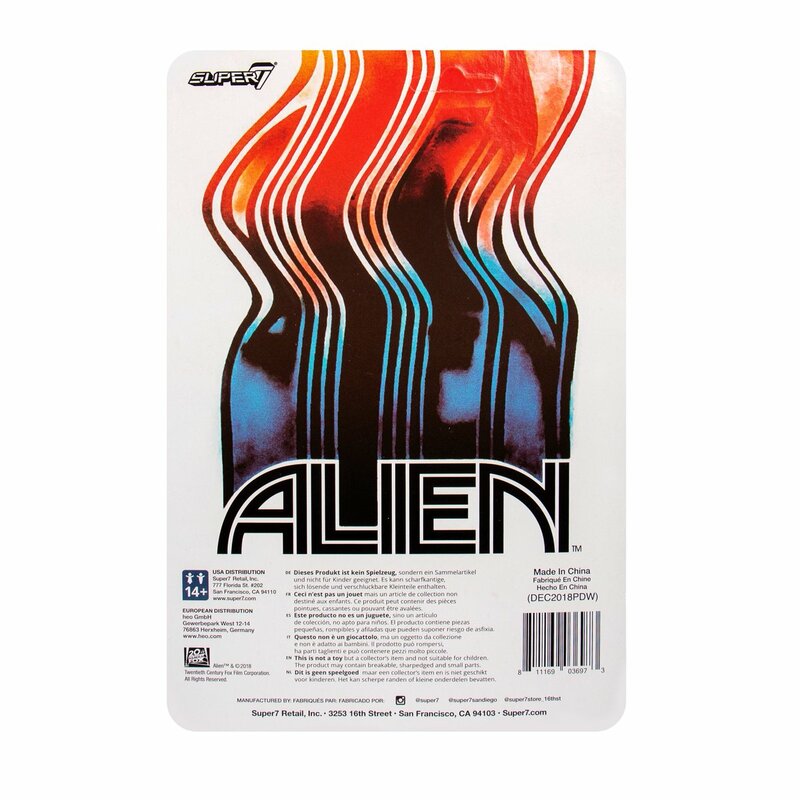 On Alien Day, with a purchase of Alien merchandise, fans will receive a pack of Aliens trading cards. 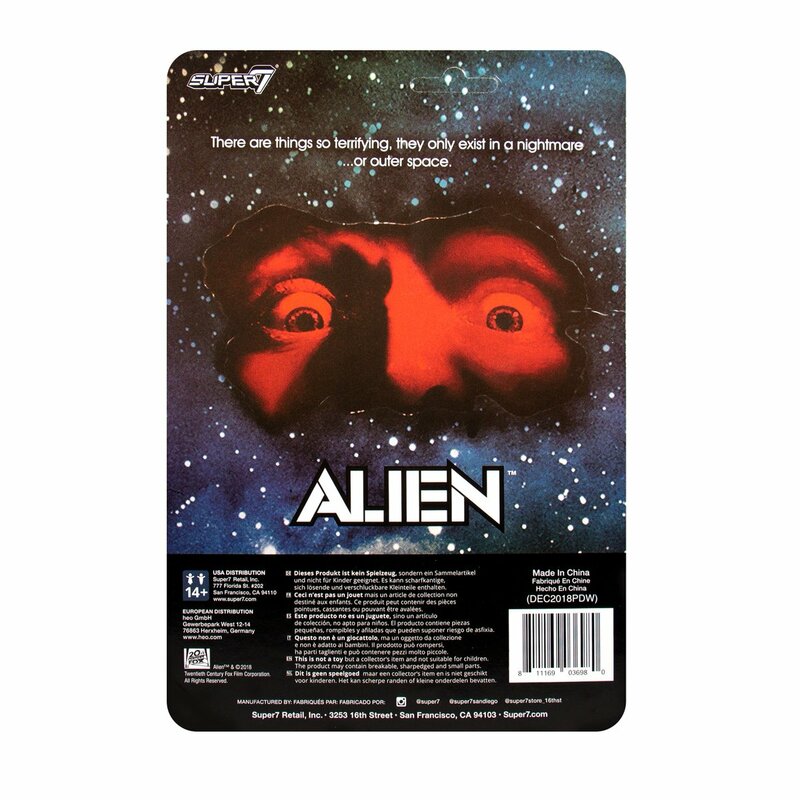 Look out for a special Alien Day announcement from NECA. And don’t forget, coming soon, NECA’s newest Alien action figures from the fantastically fun 1990s Alien vs Predator arcade game! These ultra-posable 9 inch figures retail for $23.99 and will be available in mass and local stores and at your favorite online dealer. 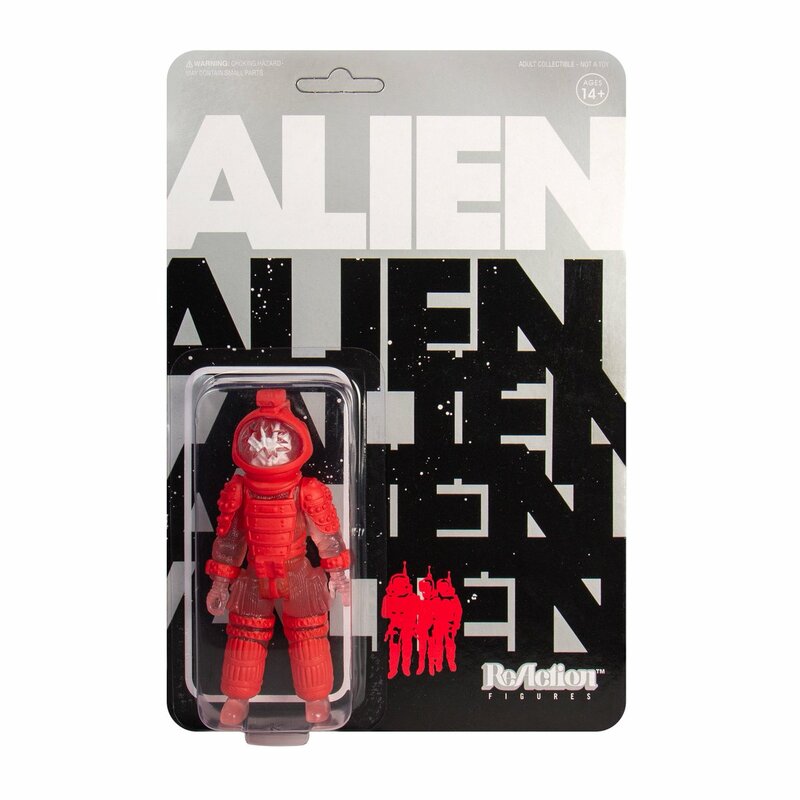 In the UK, Fanattik launches a range of Alien gifts and limited edition collectibles. The initial range includes art prints, playing cards, a 40th commemorative coin, pin badges with additional products added throughout this 40th anniversary celebration year. The Loyal Subjects is proud to announce the long anticipated release of the Aliens GE Packout, hitting retailers everywhere in May 2019. Double the chase figures, double the Xenomorphs, packed with other rare Easter eggs; including chase chestbursters, pods, and facehuggers! Also, including your favorite characters; Ripley, Newt, Hudson, Vasquez, and Bishop! Great sculpt details, great paint details, tons of accessories, and killer articulation! Includes a collector card with each figure! From Diamond Select comes the Aliens Xenomorph Letter Opener -- making opening mail a scream! On the surface, it looks like a detailed resin bust, but remove the tongue to reveal the metal blade sheathed inside its gaping maw. Upper Deck has just released the Alien 3 Trading Card Set, which has joined the 2017 Alien & 2018 Aliens trading card sets in providing a robust trio of collectibles perfect for fans of all ages. For a more interactive experience Upper Deck brings Alien Covenant to the game table later this year in August as the 2nd expansion to the award winning Legendary® Encounters: An Alien™ Deck Building Game. If you’re itching to hunt Xenomorphs now, you can pick up the Original Legendary® Encounters: An Alien™ Deck Building Game and it’s first expansion right now at the Upper Deck Online Store. Plus, stay tuned for an exciting announcement on Alien Day from Audible. Coming soon....4/26 in-store at @super7sandiego @super7store_16thst and then 4/27 online. Update: Online sale moved up? A week from today (Fri - 4/26) is Alien Day 2019 and Super7 is releasing these new Alien ReAction Figures inspired by original Bill Gold 1979 concept poster art not used for the film's release. These will be available online next Friday! "here are things so terrifying, they only exist in a nightmare... or outer space." 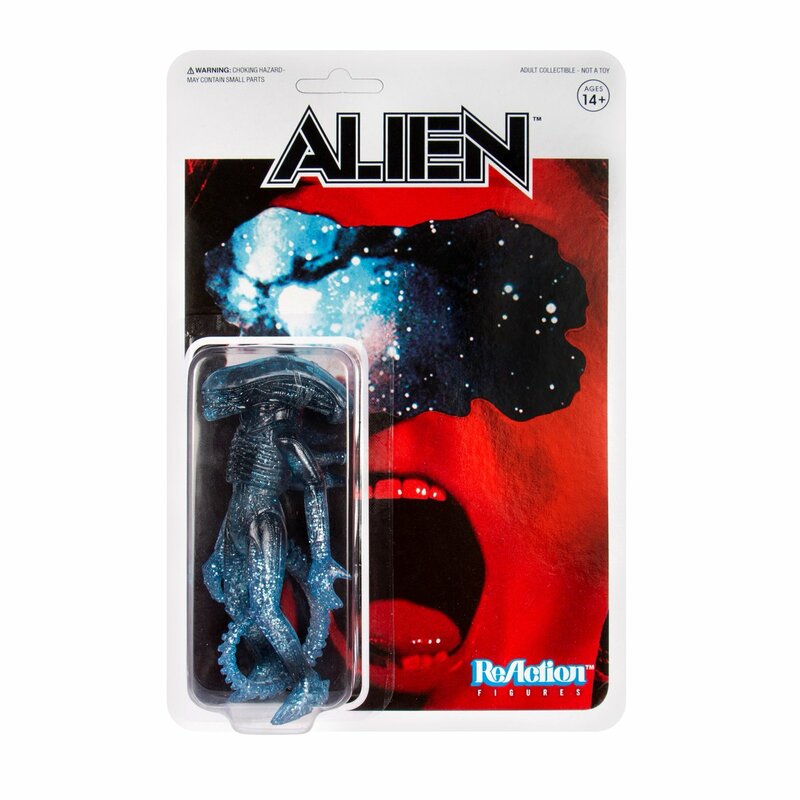 A week from today (Friday - 4/26) is Alien Day 2019 and to commemorate LV-426, Super7 will be dropping these exclusive Alien ReAction Figures: First is the terrifying Xenomorph in a clear glitter space blue with matching card back." "Then there is the doomed Nostromo crew member Kane in a horrifying red with matching card back. Both of these figures and their card art were inspired by the awesome original 1979 Alien concept poster art by Bill Gold that was not used for the film's release. These will be available online in the Super7 webstore and at our San Francisco and San Diego stores. See you next Friday!" Containment and Night Shift premiered at ECCC (along with Harvest and Alone). Specimen and Ore premiered at WonderCon. " 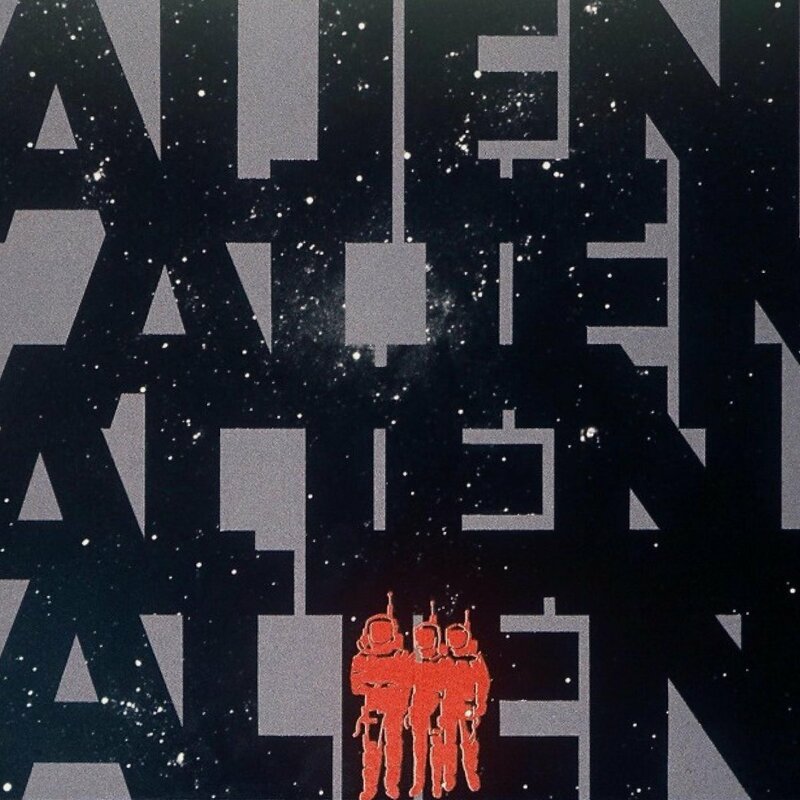 the final two thrillers – Alien: Alone and Alien: Harvest – will be unearthed on Alien Day, April 26th." With the classic as inspiration, each of these original shorts capture iconic franchise moments and have unleashed the potential of the Alien universe to thrilling new heights. The surviving crew of a damaged deep-space harvester have minutes to reach the emergency evacuation shuttle. A motion sensor is their only navigation tool leading them to safety while a creature in the shadows terrorizes the crew. However, the greatest threat might have been hiding in plain sight all along.